A £50 deposit is required at time of booking. 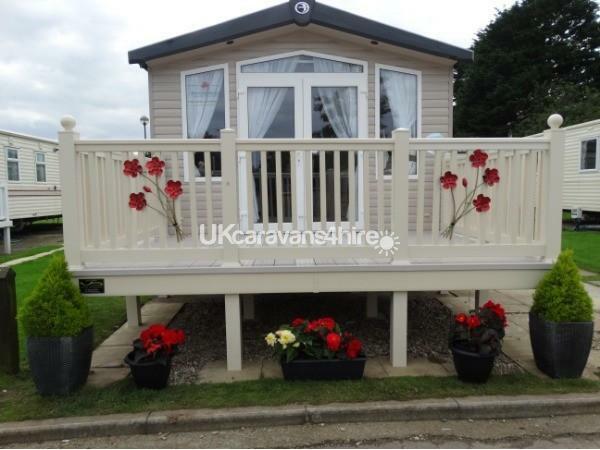 A bond of £100 is required against breakages which will be returned on day of departure after the caravan has been inspected. The full amount of the holiday is to be paid no later than six weeks before holiday is due to start. 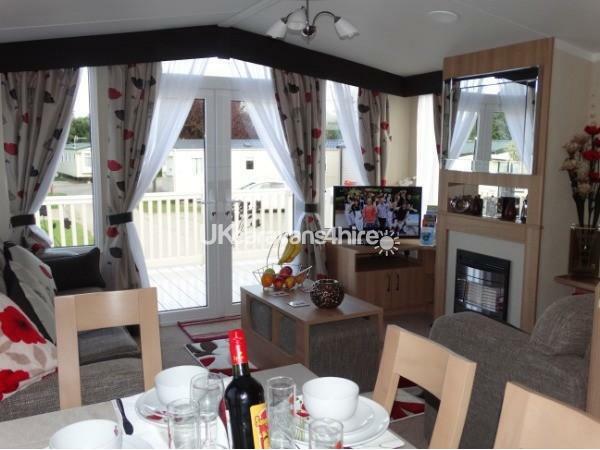 Family owned and cleaned 3-bedroom platinum caravan on Heaven’s flagship park, Primrose Valley. 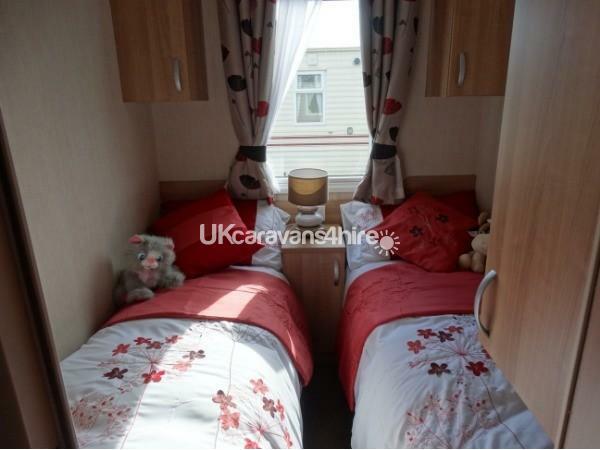 The three bedrooms include an master bedroom with an on-suit toilet, spacious dressing table complete with a freeview tv with inbuild DVD player and space for a travel cot. 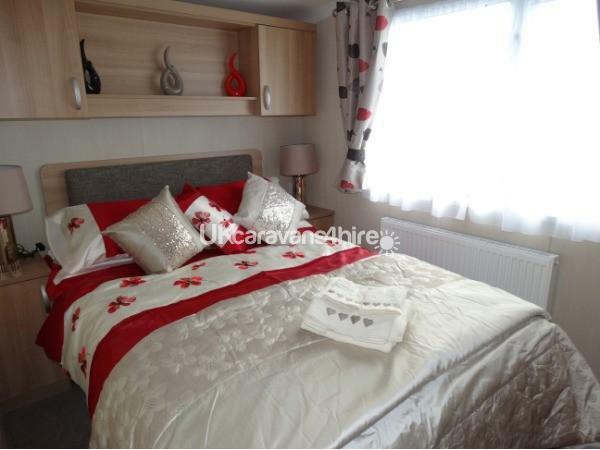 The two further bedrooms have two single beds in each. Children toys and board games are included in the single bedrooms giving the kids hours of entertainment. 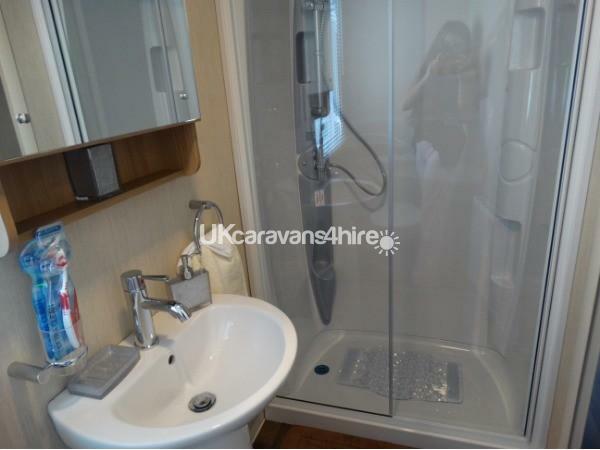 There is a luxury family bathroom which has a large shower cubicle. 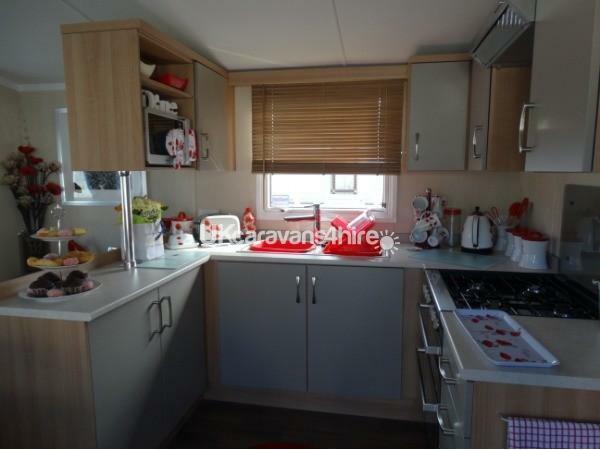 An open and modern kitchen with all the kitchen essentials such as a microwave, cooker, grill, hob, kettle, toaster, large integrated fridge-freezer, plenty of worktop space and plenty of extras so you don’t have to bring the kitchen sink. To the side of the kitchen, there is a modern free-standing table with chairs so you can sit down and enjoy your family meal together. The modern lounge has two free standing sofa's, a gas fire, modern flat screen freeview tv with inbuilt DVD player with a very large collection of DVD’s suitable for a variety of ages for all the family, blue tooth speakers in lounge which can be used with any Bluetooth device to enjoy your own music and all the finer décor to make you feel at home. 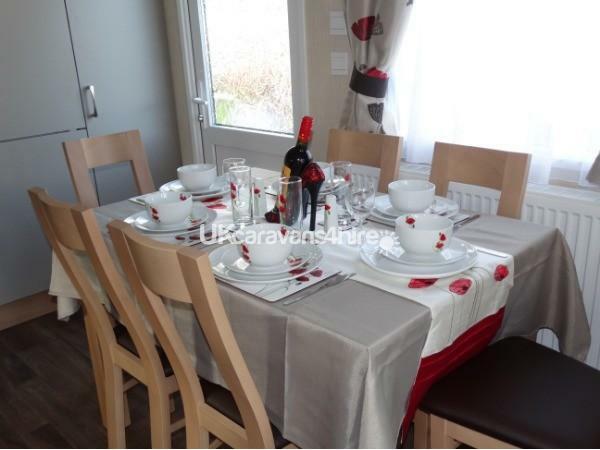 There are french doors at the front of the of the caravan which leads onto a enclosed veranda with rattan furniture to enjoy breakfast in the sun. 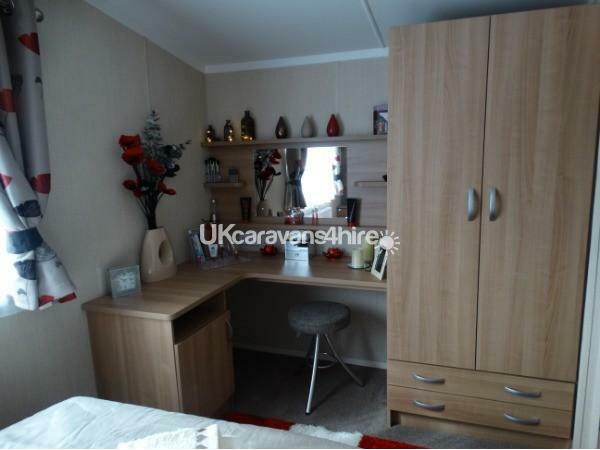 At the side of the caravan there is a large pathed standing area with a wooden table and chairs, barbecue, stoned parking for a car and area for kids to play without going out of sight. Travel cot, pushchair and highchair are available opon request without charge. There is also an iron board with iron, hairdryer, clothes airer and other extras so if you forget anything you don’t have to panic. Luxury bedding, with character bedding for kids and freshly ironed towels included. 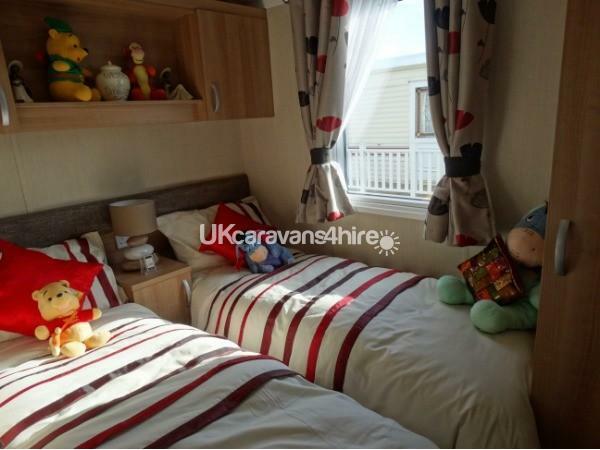 There are also outdoor toys when you just want to relax around the caravan. 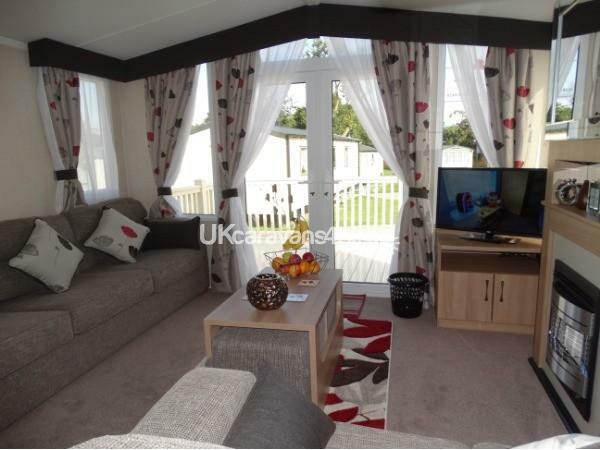 The caravan is located just 2 minutes from the main entertainment complex which caters for all the family but is far enough to avoid the main flow of people. 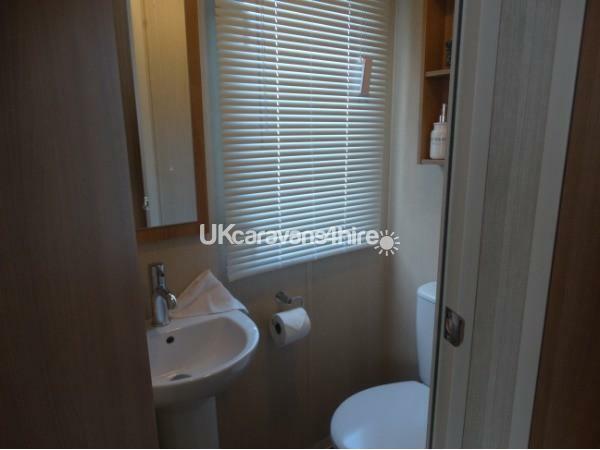 Please note this a family owned caravan which we make sure is to the highest standard for our guests and would be very grateful if it is left in a respectful manner. A welcome pack is included to allow you to settle in without rushing to the shops and special occasions can be catered for upon request. 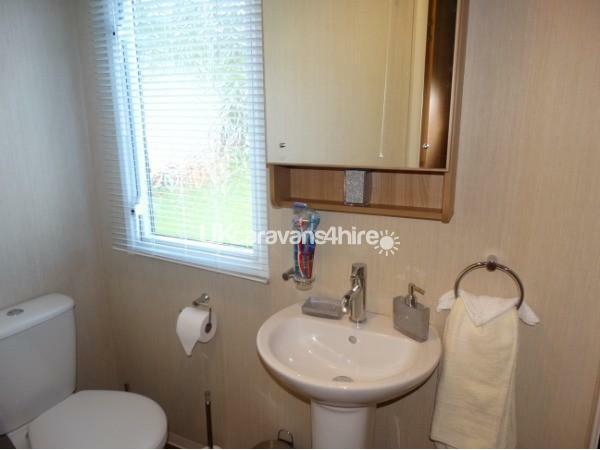 There is double glazing and central heating. We meet and greet our clients, so you don’t have to wait in long ques and check out time is 10am and check in time is 1pm. Thank you for taking the time to read our advert and look forward to greeting you on your luxury holiday soon. Additional Info: (Some facilities may require membership)Pub/Club, Fishing, Lakeside restaurant serving stone ovened pizza and grilled chicken with a bar and swimming pool, main entertainment complex with Amusement Arcade, entertainment venues, bars and swimming pools, Tennis Court, Indoor Pool, Laundrette, Crazy Golf, Mini mart, green park, papa John’s pizza, Westpier burgers, fish & chip shop, Kids Club, Costa Coffee, Millie’s Cookies, outdoor sport activities including paddle boats, climbing frame course. There is direct access to Filey’s picturesque beach from the park.